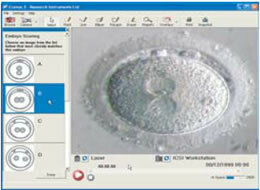 Cronus3 is an easy to use digital video recorder, image capture and embryo analysis package. With sophisticated reporting functions, multiple camera capture and digital zoom functions, it is rapidly becoming an essential tool in the recording of data for patient records. Capture Video footage direct to your computer. Record all critical procedures. 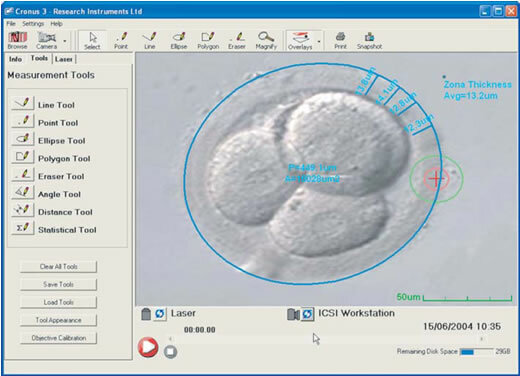 Capture still images of embryo development, micromanipulation techniques and save in standard format for export into documents and patient database systems. Images can be captured from multiple lab cameras so that all stages of the IVF process can be documented. A range of advanced tools for embryo analysis, including measurement of polar body angles, pronuclei, zona, cell diameters etc. Quickly select from user defined scoring protocol. 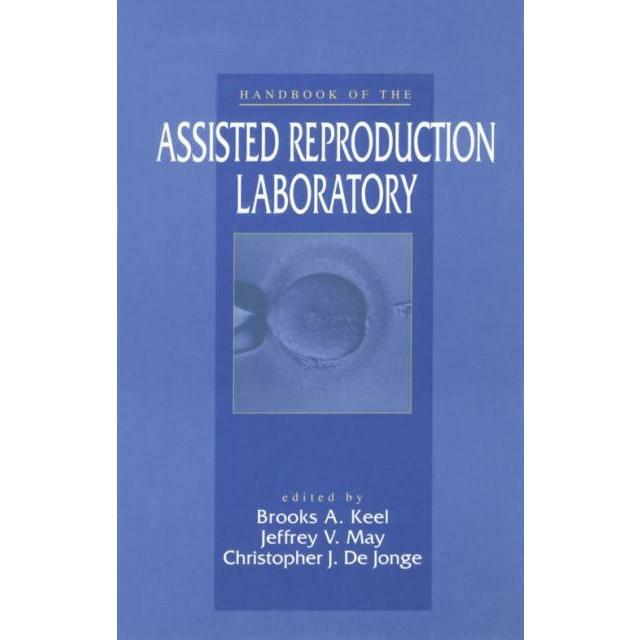 The embryo score is then included in the patient report, along with other critical information. Image magnifier provides real time digital magnification of live video feed. The Safety Circle?, based on published medical research, provides a safety zone indicating how close to critical cells the laser can be fired. The Safety Circle is also user definable for those customers who wish to implement customised protocols. Cronus can generate reports on captured images using Microsoft Word.